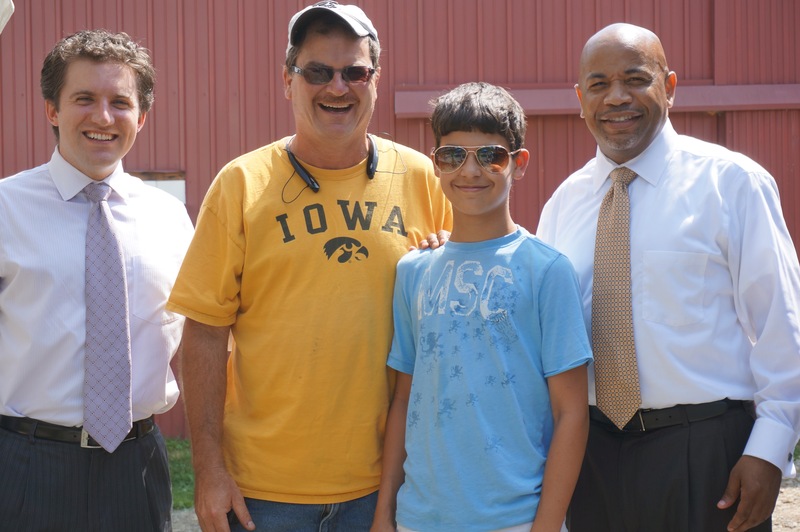 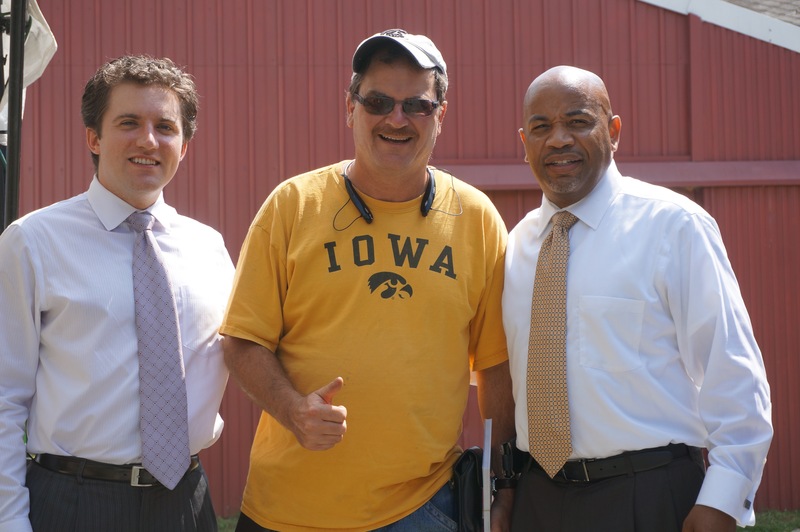 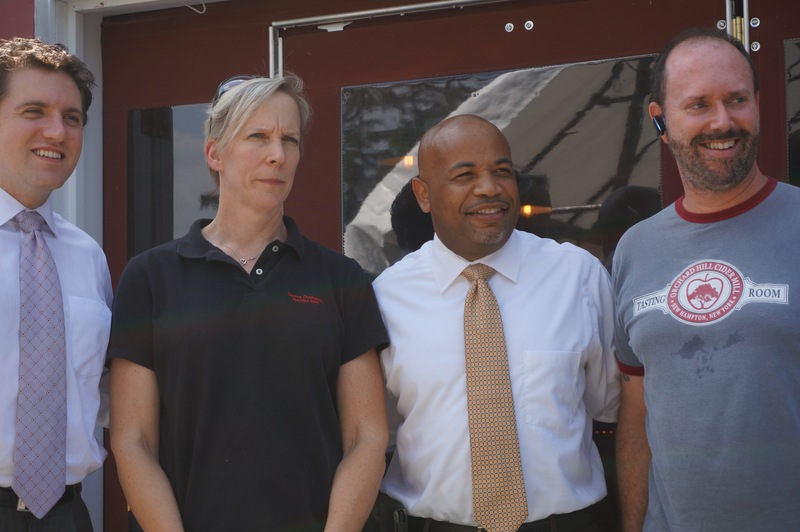 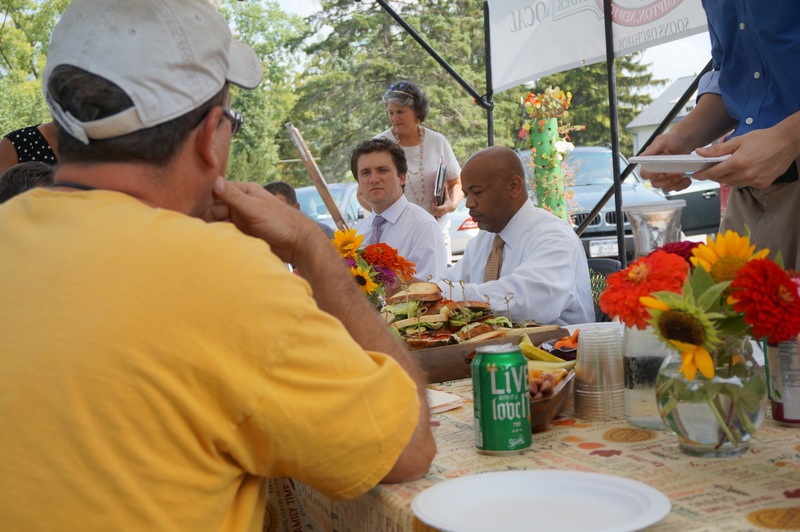 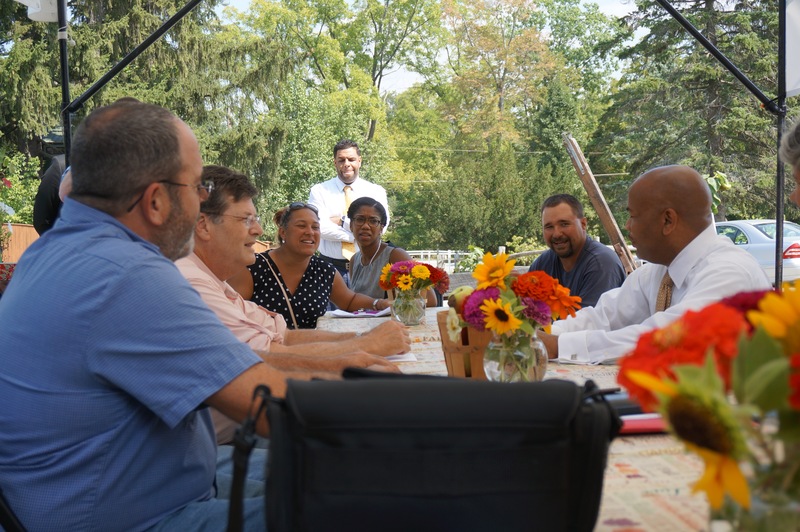 NYS Assembly Speaker Carl Heastie visits Orange County, N.Y. to discuss agricultural issues! 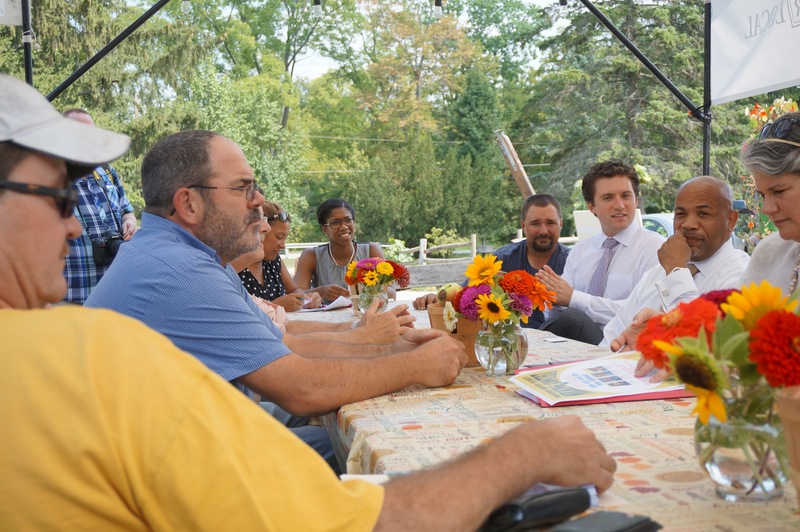 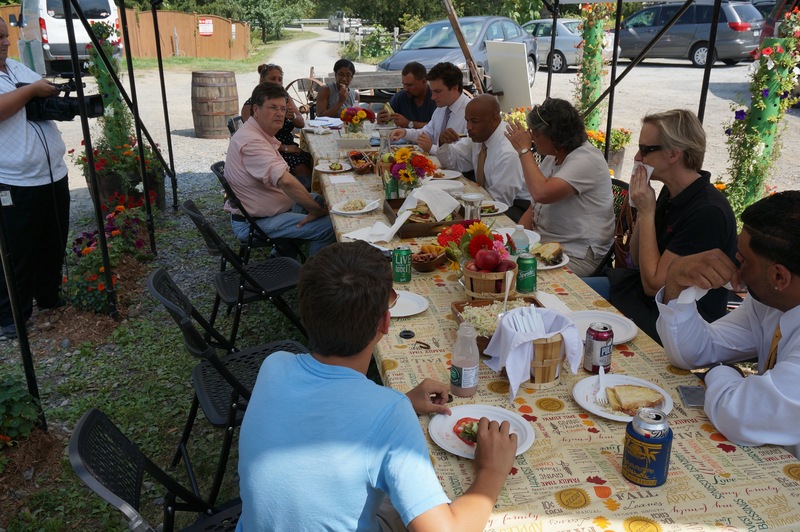 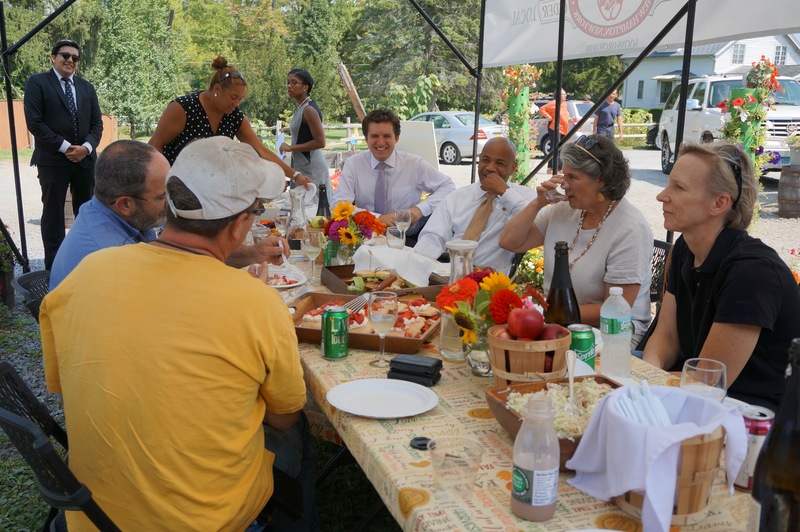 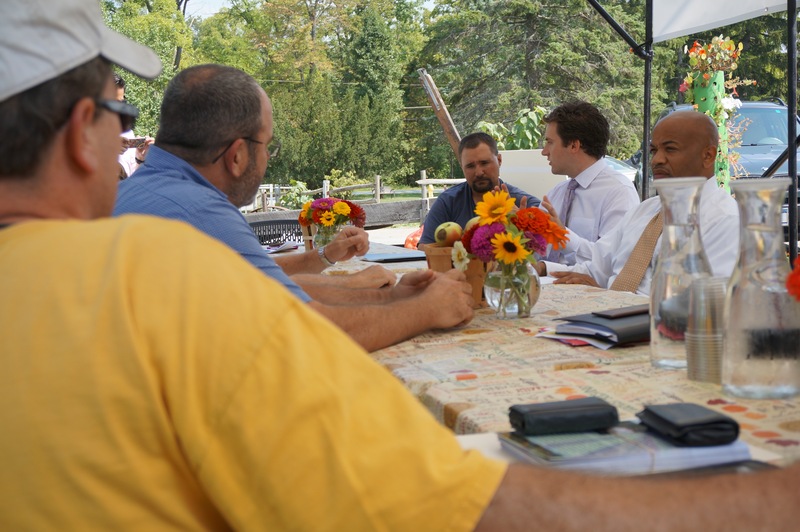 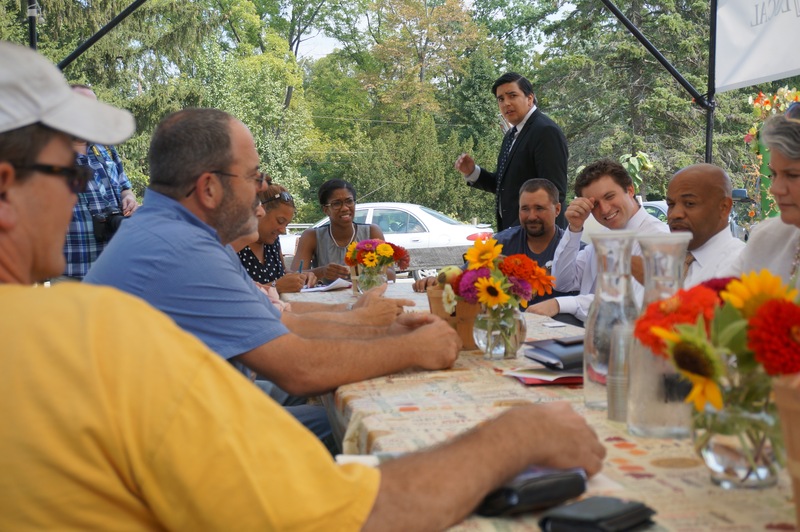 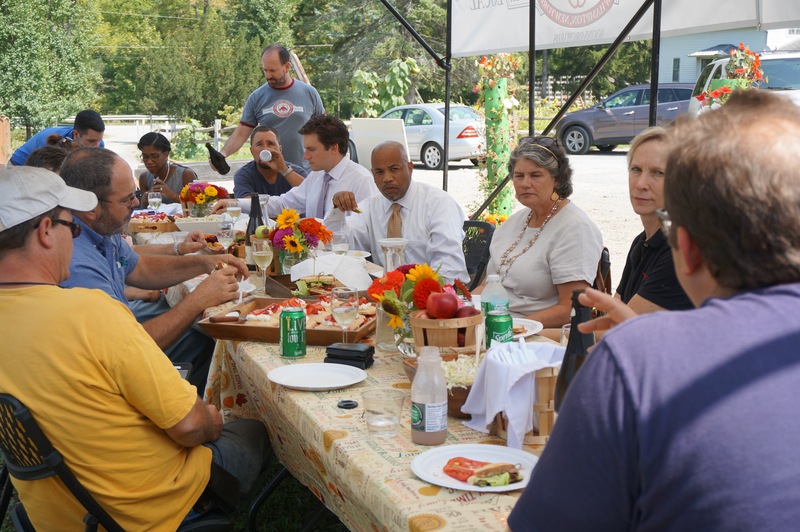 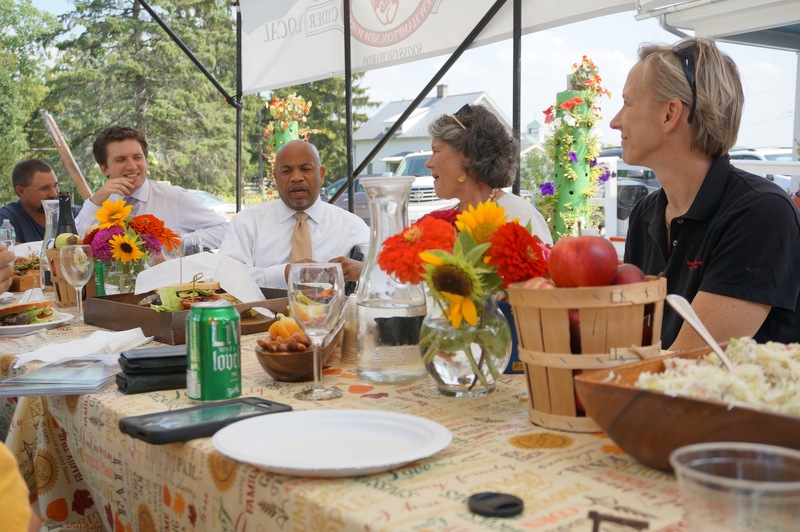 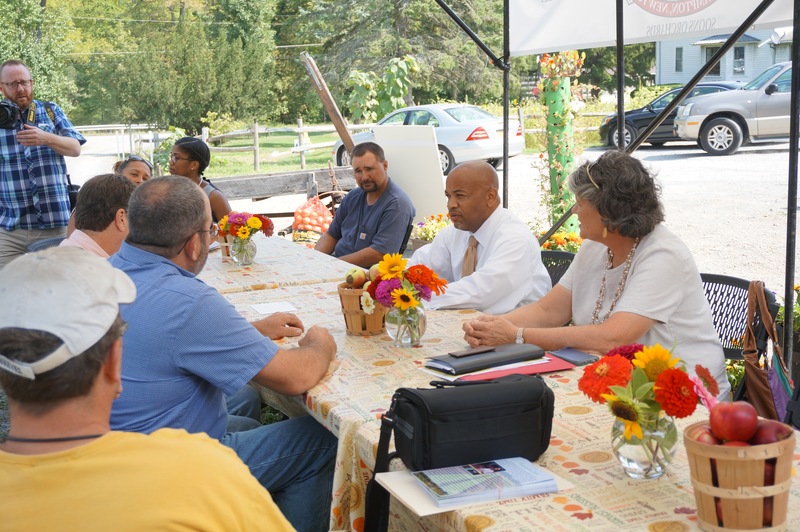 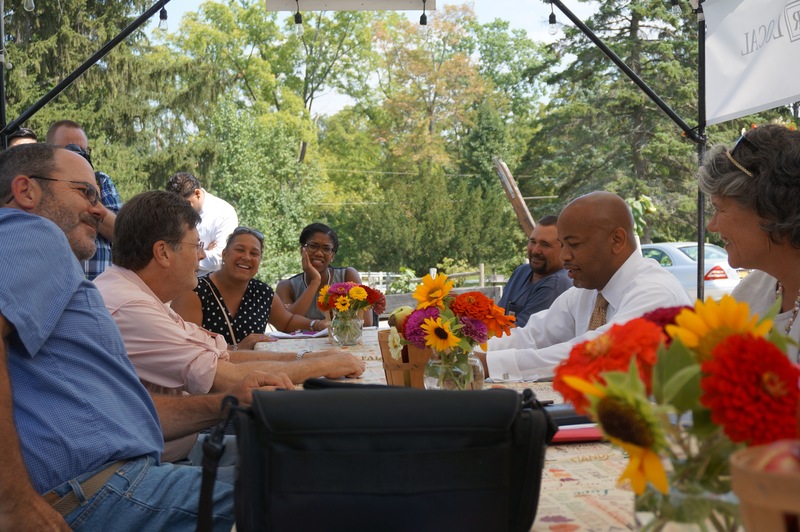 On Wednesday September 2nd Soon’s Orchards (see: http://www.soonsorchards.com ) hosted a roundtable farm discussion, organized by Assemblyman James Skoufis, for NYS Assembly Speaker Carl Heastie (see: http://assembly.state.ny.us/mem/Carl-E-Heastie/bio/ ). 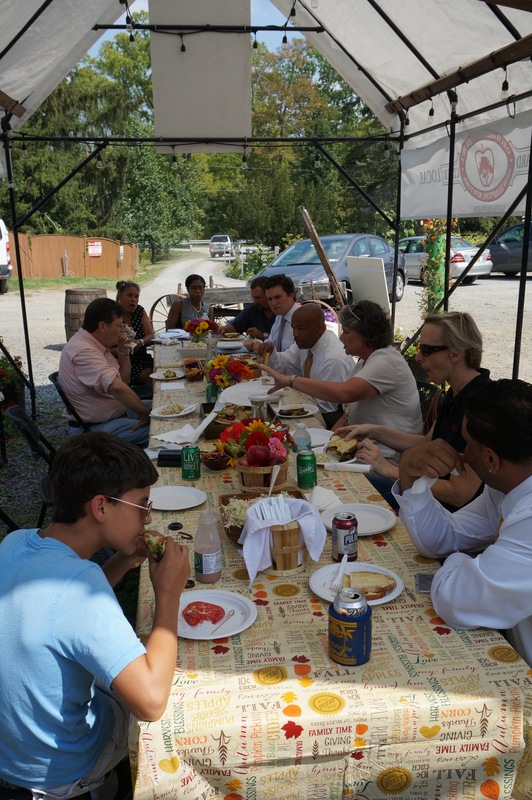 It was a fantastic event. 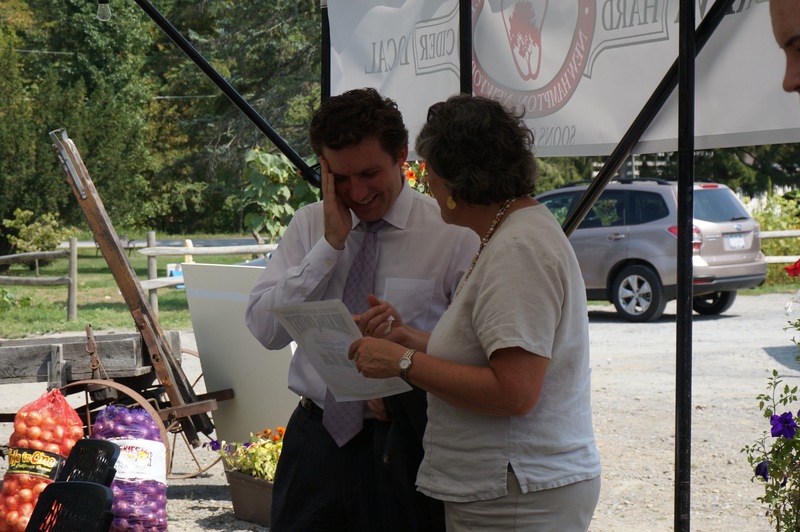 My hat is off to Assemblyman James Skoufis for getting the new Speaker to come to his district to meet farmers and discuss important agricultural issues (see: http://assembly.state.ny.us/mem/James-Skoufis ) and to Sharon Soons and James Alton Thomas for the marvelous job they did hosting it and speaking on various agricultural topics. 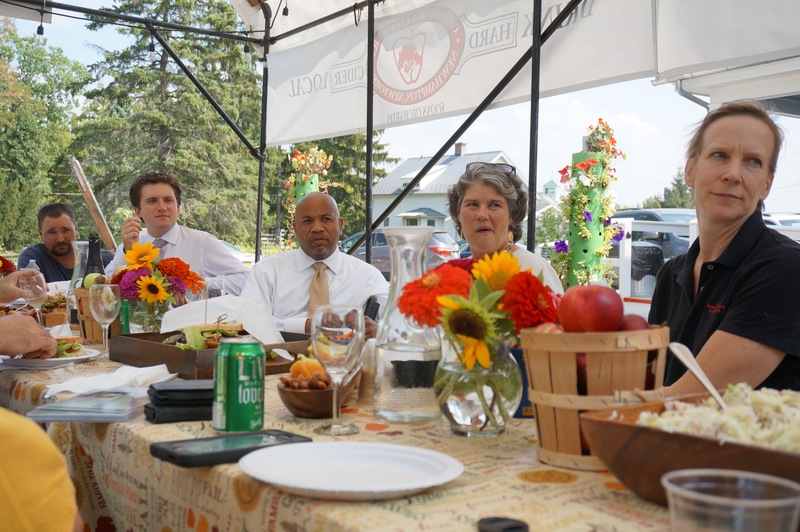 Also in attendance was Dave Cole, John Paul Ruszkiewicz and Lucy Joyce of Cornell Cooperative Extension of Orange County (see: http://cceorangecounty.org ).